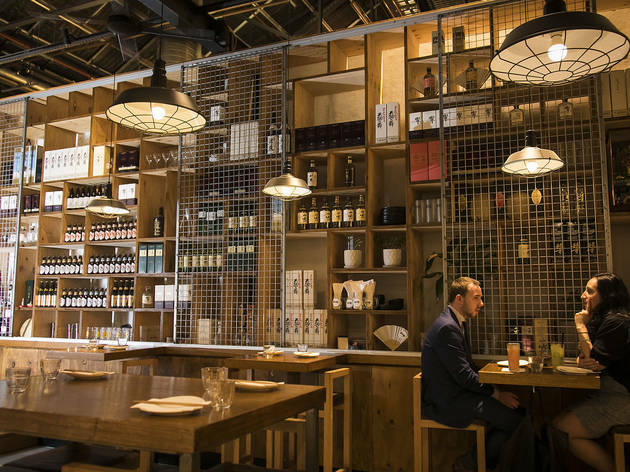 Tramsheds is a funny premise – it’s basically a mall, but you’re shopping for lunch and dinner, and we’re not talking ingredients here. 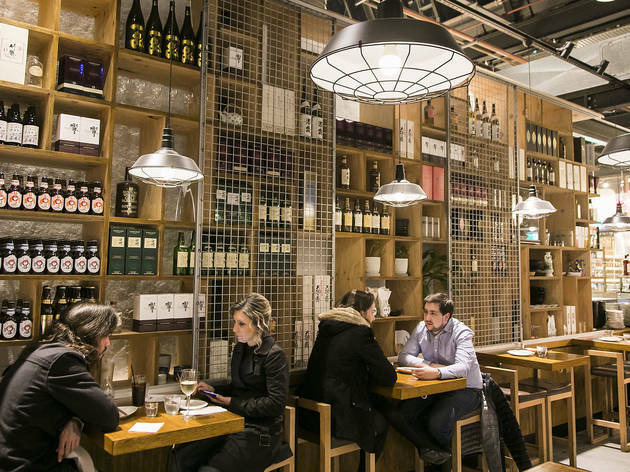 Depending on your mood you might choose the door that leads to fried chicken sandwiches (Belle’s Hot Chicken), the one with fancy toast (Garçon) or high-end pasta (Flour, Eggs Water). 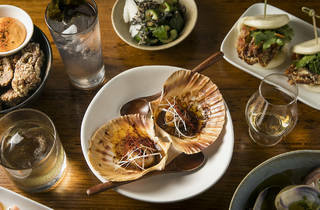 It’s certainly a fun and easy way to entertain an indecisive palate. 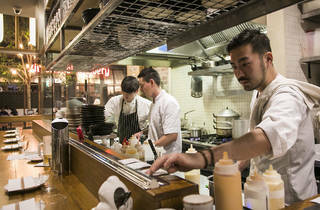 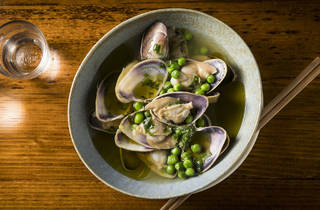 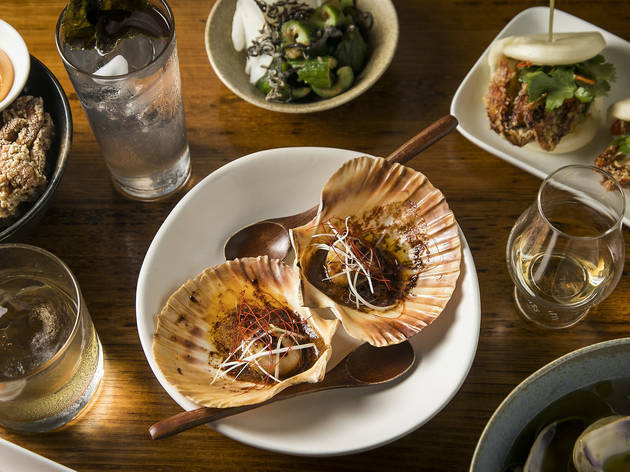 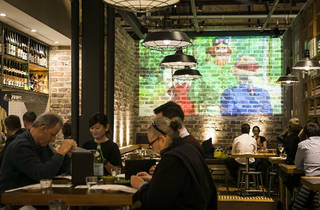 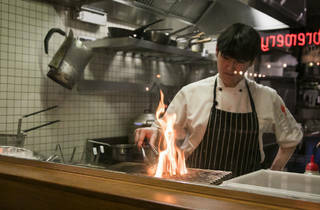 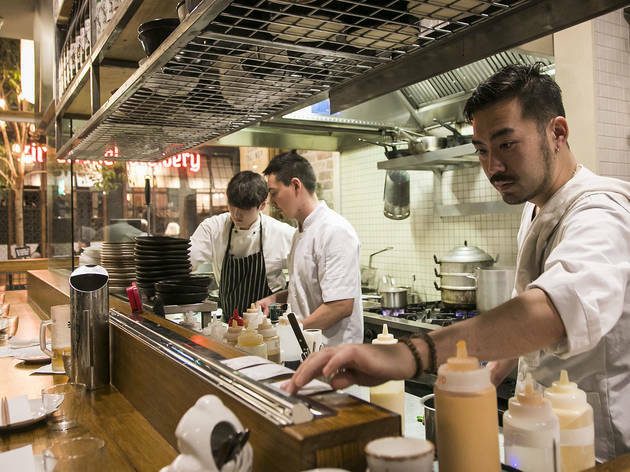 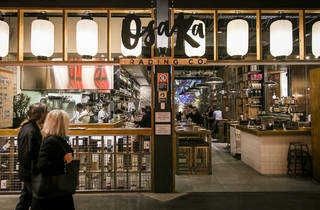 And it has also gifted us a second outing for Surry Hills yakitori and whisky bar, Tokyo Bird. 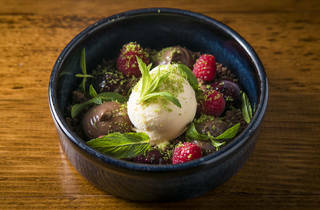 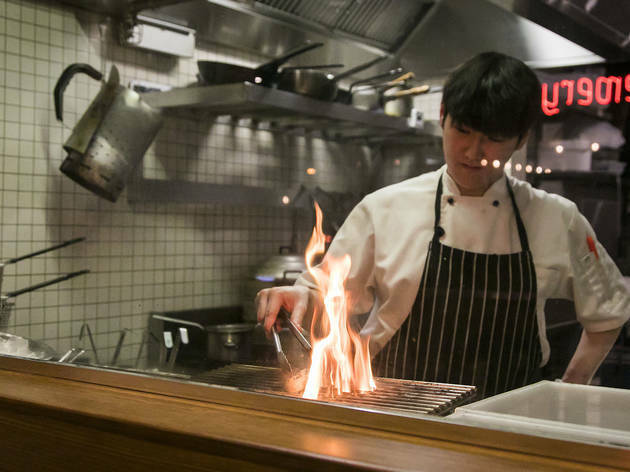 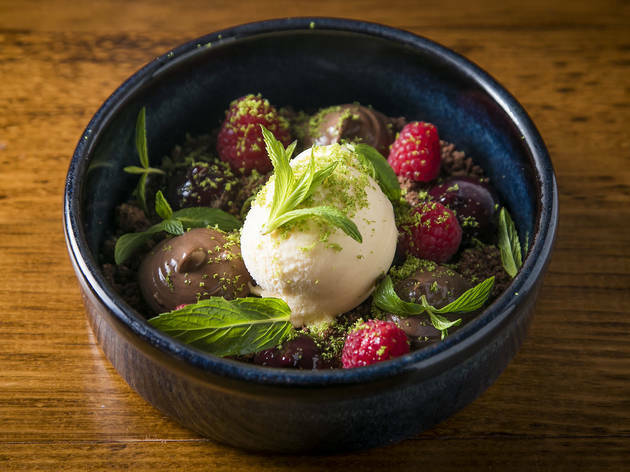 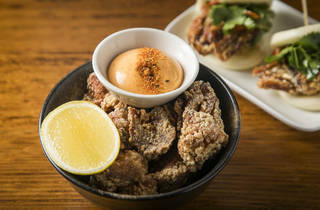 Their Tramsheds venue has given them a lot more room to move, letting them expand the menu beyond snacks on sticks – not that we’d ever complain about pork belly and chicken hearts caramelised over coals. 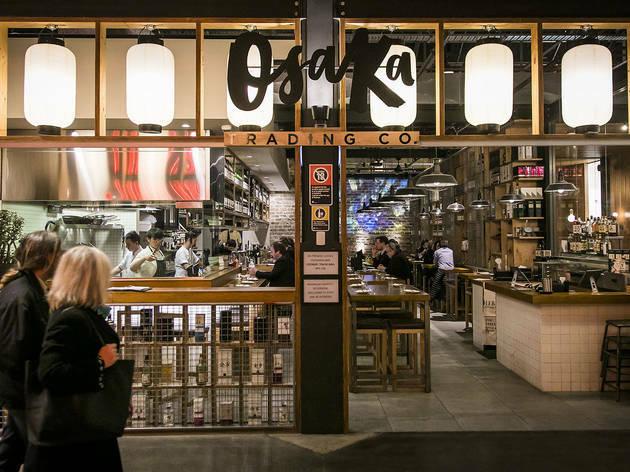 Osaka Trading Co is a simple space with the bar and kitchen on one side, tall tables on the other and a raised platform up the back against the original brick wall of the building, against which they project Ghibli films. 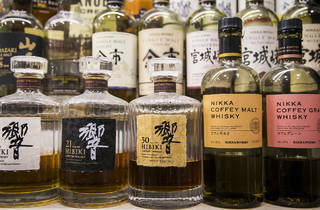 Decoration is mostly whisky and sake bottles, which is a handy double-score storage solution. 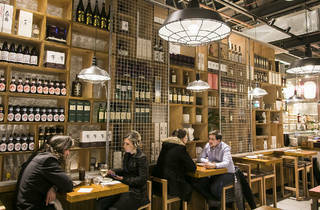 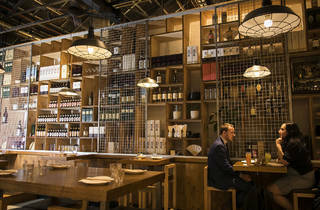 It’s a spacious izakaya that they’ve tried to warm up with lots of honey-toned timber. 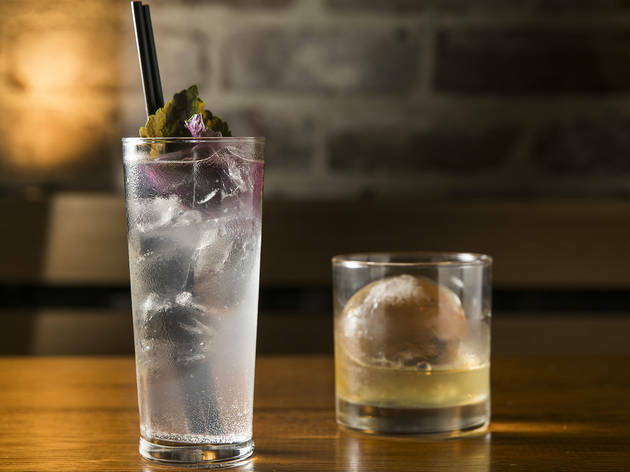 Refresh that palate with the house riff on a Gin and Tonic. 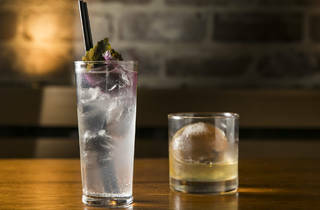 They mix gin with sake, shiso syrup and lemon juice and the result is fresher and more bitter than a standard G&T, and it feels like a proper cocktail rather than a two-part beverage. 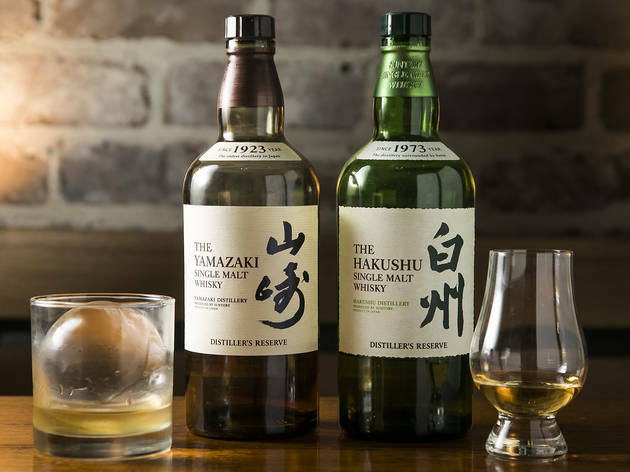 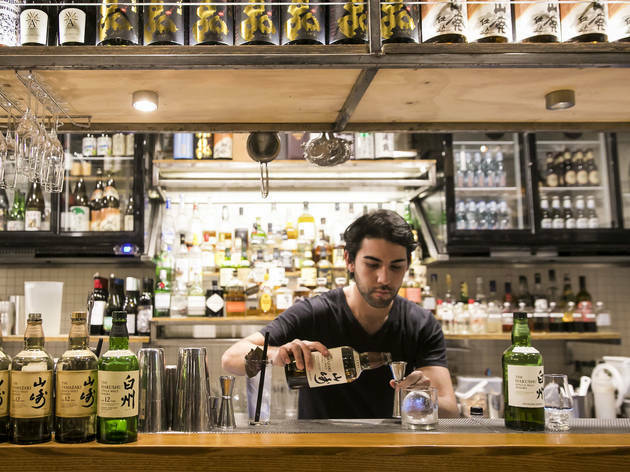 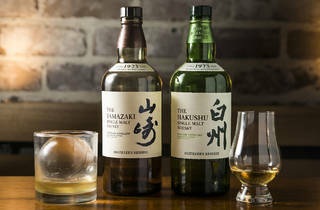 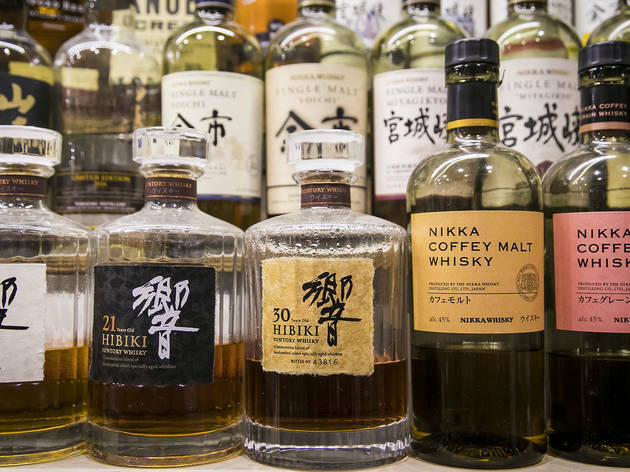 Smash a Yebisu, Hitachino or Asahi brew with your meal or linger over Nikka, Hibiki, Suntory, Hakushu and Yamazaki drams – but check those prices ’cos you can drop a lot of cash on whisky here. 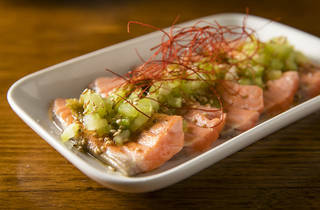 Bright, zippy kingfish sashimi will slap your palate awake. 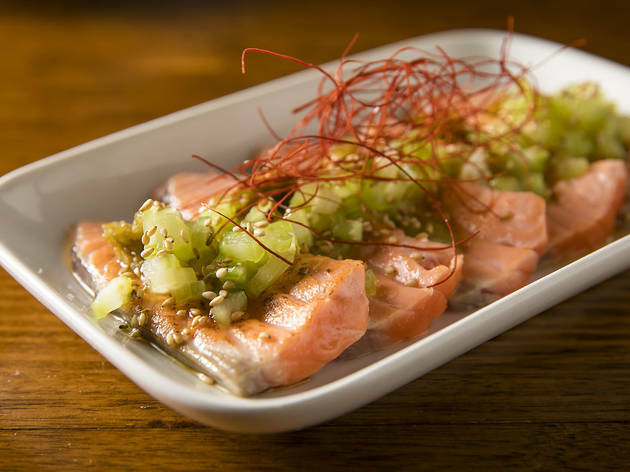 Next, apply a serve of the aburi salmon that straddles the raw/cooked divide with scorched creaminess on one side and fresh oiliness on the other. 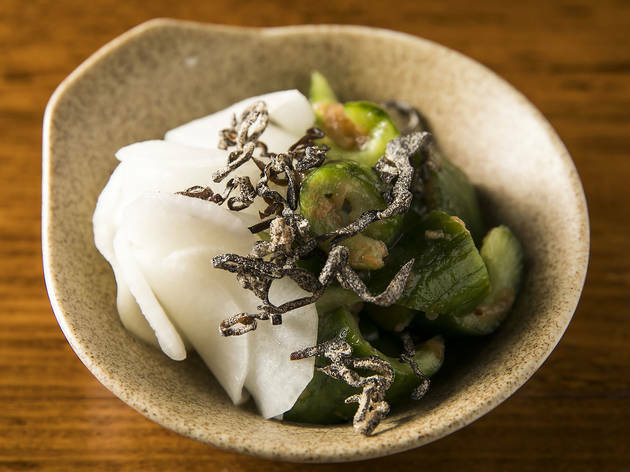 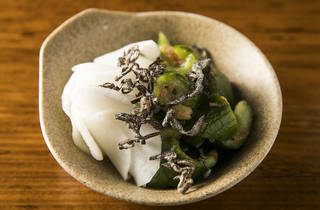 It comes with a salty dice of celery for a crisp armature and insistent heat from jalapeños. 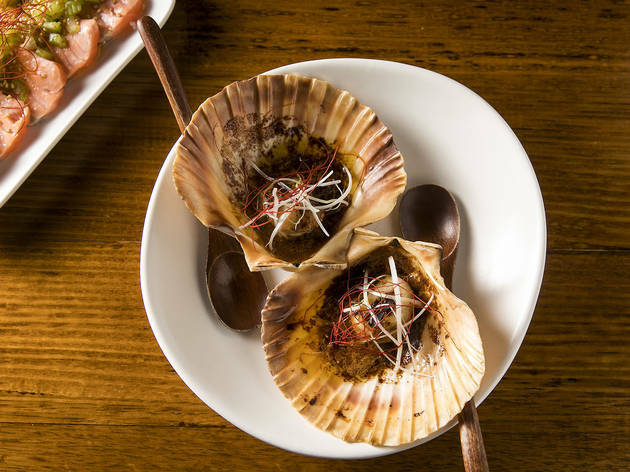 We are powerless to resist a scallop in a pool of melted butter, and here they add a little umami weight with soy and onion in the sauce. 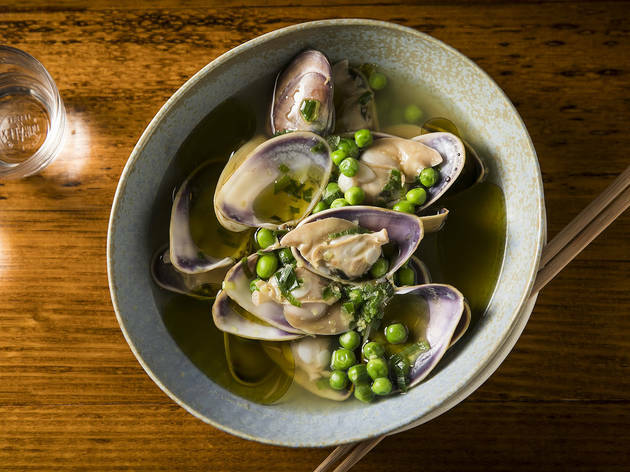 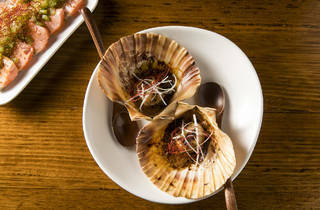 You’ll want to keep ordering these all night long – dignity be damned, go on and lick the shells clean. 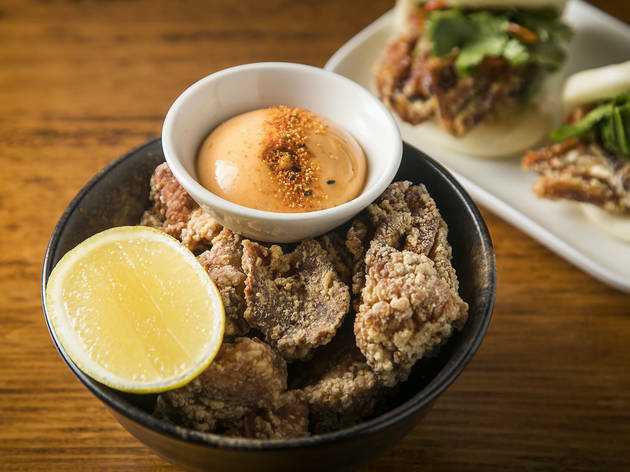 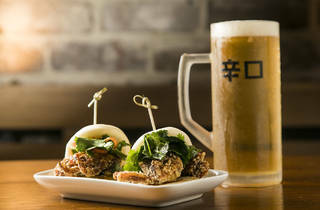 Chicken karaage is pieces of fatty, juicy meat in a light, crisp batter – a perennial people pleaser – and the soft-shell crab buns are a two-bite texture battle between the squishy soft steamed bun and the crunchy crab dressed in a yuzu chilli paste. 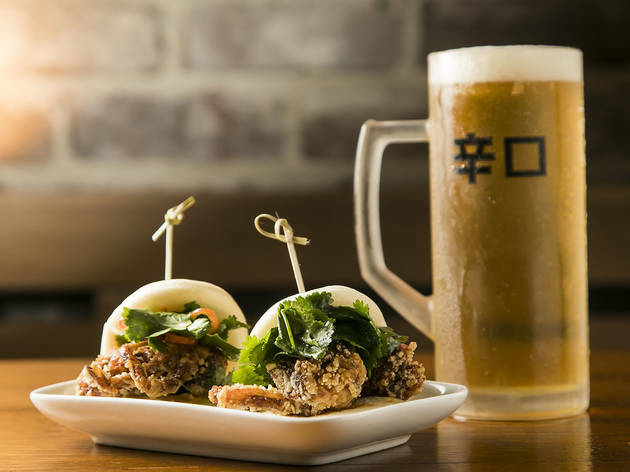 You can get lots of individual things for well under a twenty, but a dinner assembled from smaller snacks can stack up to a hefty price tag for a mid week meal – if you’re fanging for Japanese on a budget, make your visit a weekday lunch when they serve ramen for $15 a pop. 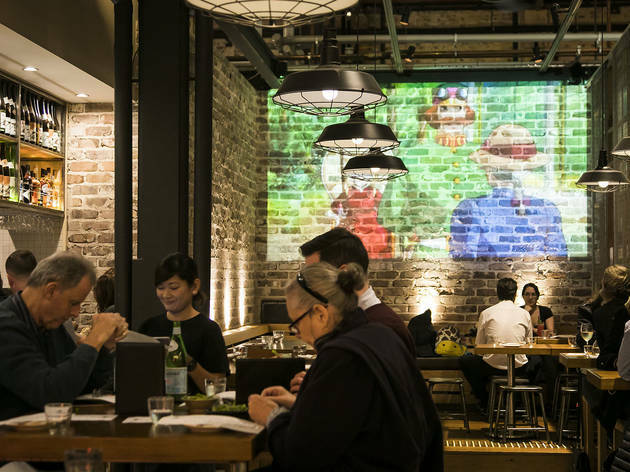 Indoor, precinct dining isn’t really something we have a lot of in Sydney – thank you weather gods – but, for the local residents of this in-between corner of the Inner West, Tramsheds is a dining hub that ticks every craving box (you bet there’s a Messina). 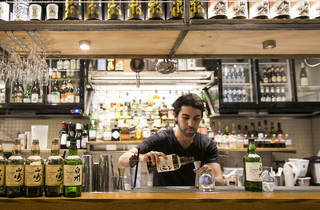 And when it’s Japanese you want, this is the suburban izakaya doing it best.